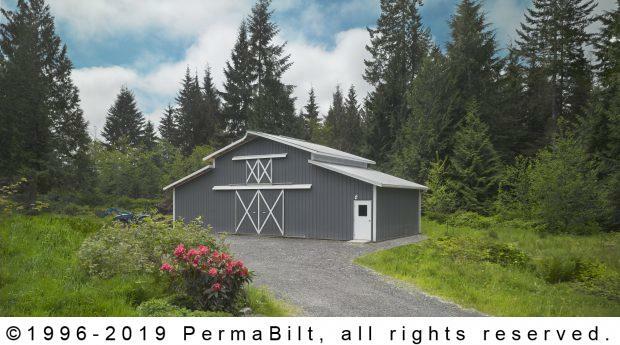 Our Snohomish customer’s pole barn with two sliding doors is 24’ x 24’ x 16’ primary with (2) 12’ x 24’ x 10’ lean-tos attached on either side a few feet below the main roof. 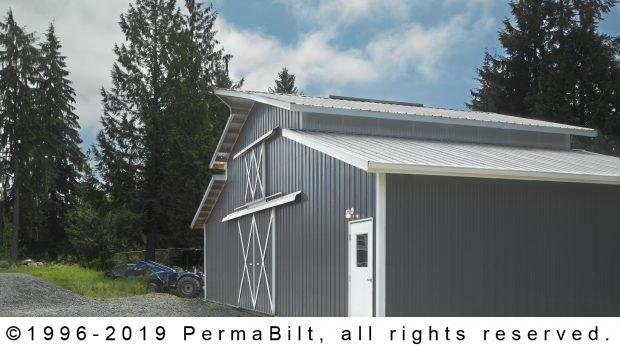 Having the lean-tos attached lower allowed for the upper section of the barn to have windows or eave lights along the sides. Our client’s building has (2) split sliding cross-hatch style sliding doors, (1) 12’ x9’ and (1) 6’ x 5’. 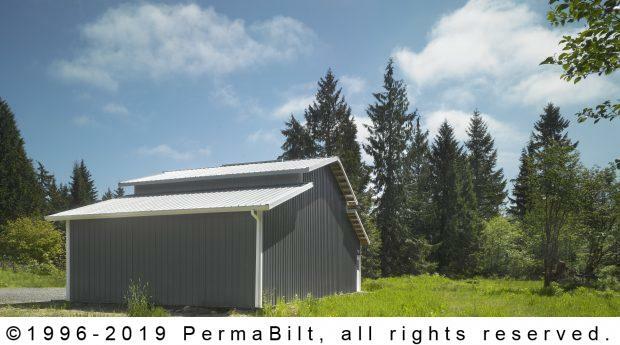 The (2) PermaBilt® walk-in doors have lite panels. The Monitor has a roof pitched prow at the front of the barn and 6 posts engineered for a future 50# loft. 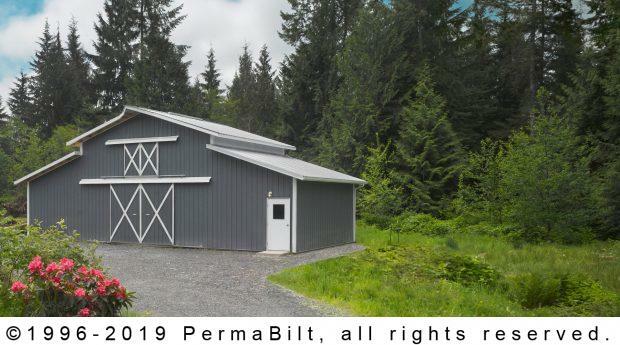 18” Eave and gable overhangs, a 10’ continuous flow ridge vent for increased ventilation and 48’ x 24’ x 4” concrete contribute to making this post frame building one of the best investments a person can own. The design was set, plans and engineering obtained and permit submitted for. This permit cost us all some blood, sweat and tears as there were numerous requirements from the county that we needed to comply with. Although it took time, effort and money, eventually we secured the permit and were able to put up this beautiful building that the customer is now enjoying.